Brendan Lawlor has Ellis-van Creveld Syndrome, which means he has shorter limbs, stature and fingers. 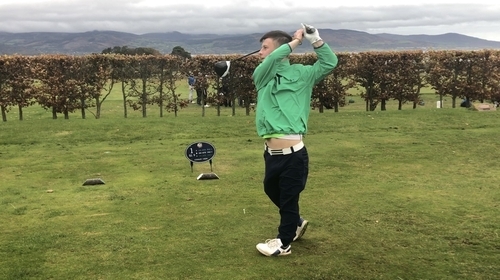 He is going to Australia at the weekend to compete in the Australian Emirates Open, where he will be competing against golfers like Jordan Spieth. In a parallel tournament, the top ten disabled golfers in the world square off. If Brendan wins that event, he will go to world number one, up two places from his current ranking. Watch: Who are the most important women in your lives?